North Korean young people dance to celebrate the birthday of the country’s leader, Kim Jong-il, in Pyongyang. The festive scene conceals the reality of a society increasingly unable to feed itself. A bitter winter and rising prices have created food shortages and alarming levels of malnutrition in North Korea, five US aid agencies have warned. Earlier this month diplomatic sources told the Guardian that Pyongyang had ordered all its embassies to appeal to foreign governments for food aid and a World Food Programme team is currently carrying out an assessment in the country. The US organisations spent a week assessing conditions across three provinces, North Pyongan, South Pyongan and Chagang. Authorities told them a viciously cold winter had killed 50-80% of the wheat and barley planted for spring harvest, as well as potato seedlings. Rising global food prices were reportedly making it harder to import sufficient food. The organisations – Christian Friends of Korea, Global Resource Services, Mercy Corps, Samaritan’s Purse and World Vision – reported evidence of malnutrition and people foraging for wild grasses and herbs. They recommended emergency food assistance focusing on vulnerable groups such as children and elderly people. 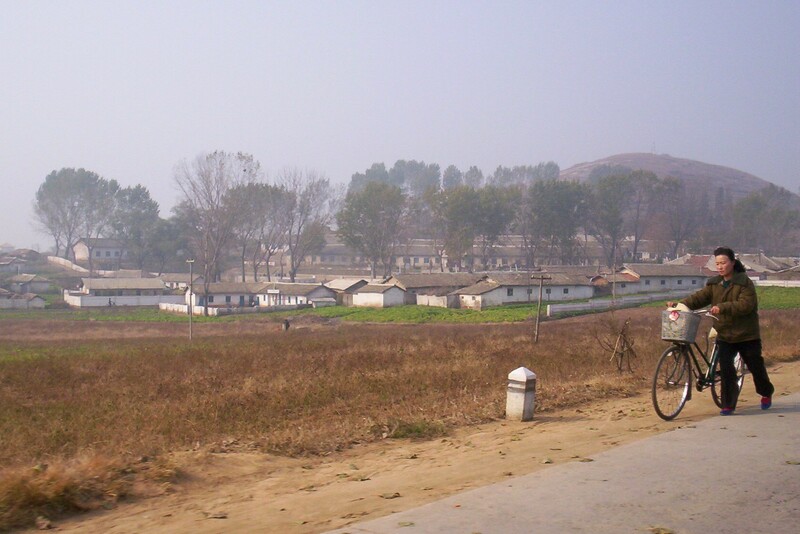 Dr Leonid Petrov, an expert on North Korea at the University of Sydney, said food shortages were a “permanent phenomenon”, thanks in part to the country’s mountainous terrain and bitter winters, but had become dramatically worse in the past couple of decades. Although generous aid from South Korea had led to major improvements following the devastating famine of the 1990s, Seoul’s recent decision to end its “sunshine policy”, a disastrous attempt at currency reform and botched economic experimentation had all taken their toll. “The food situation is very uneven. In Pyongyang people continue to live, if not luxuriously, then relatively steadily – while on the outskirts and in the provinces there has been a sharp decrease in access to food, fuel and electricity,” added Petrov. He said in many places there appeared to be “not only a shortage of food, but a loss of faith in the cause”. North Korean media have run several stories on “skyrocketing” food prices worldwide, suggesting official concern about the impact of inflation on public morale. Economists Stephan Haggard and Marcus Noland of the Peterson Institute have pointed out that food prices are rising far more quickly in the North than elsewhere. “The gap reflects the perennial problems the socialist agriculture system has in producing adequate supply at home. But it also reflects a variety of country risks, including a rapidly depreciating exchange rate and rising import prices set in motion by Pyongyang’s own military provocations,” they wrote last week. Separately, the Seoul-based newspaper Chosun Ilbo reported a claim that hundreds of people had protested in the North’s border town of Sinuiju, just across the river from the Chinese city Dandong. The newspaper cited a single source who said the incident was sparked by a crackdown on market traders. The Guardian was unable to verify the claim, but small-scale protests by traders have been reported in the past few years. Sinuiju is thought to be less easily controlled than other areas, given its location and interaction with the outside world. WASHINGTON (AP 24 Mar. 2011) — The United Nations reported Thursday that more than 6 million North Koreans — about a quarter of the communist state’s population — are in urgent need of international food assistance. The findings will add to pressure for the United States to resume food aid to North Korea suspended in 2009 after private groups monitoring the distribution of food were expelled. But doing so could be seen as aiding a government which has since advanced its nuclear weapons programs and had armed clashes with U.S. ally South Korea. In its report, the result of an assessment conducted in February and March, the U.N. said that North Korea has suffered a series of shocks including summer floods and then a harsh winter, “leaving the country highly vulnerable to a food crisis.” It said the worst affected include children, women and the elderly, and recommended providing 430,000 metric tons of food aid. North Korea’s public distribution system will run out of food at the beginning of the “lean season” that runs between May and July, between spring and fall harvests. This would “substantially increase the risk of malnutrition and other diseases,” the report said. Three U.N. agencies — the World Food Program, the Food and Agriculture Organization, and UNICEF — conducted the assessment at North Korea’s request. They visited 40 counties in nine of the country’s 11 provinces. Five nongovernment U.S. aid agencies who visited the North last month reported severe food shortages and alarming malnutrition among children. The U.S. says it is considering resuming food aid to the North, which has had chronic problems in feeding its people since its assistance from the former Soviet Union ended. The country suffered famine in the mid-1990s in which at least hundreds of thousands are believed to have died. 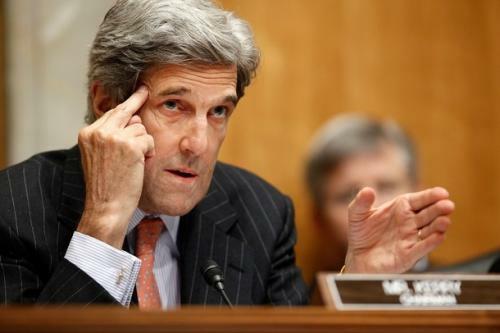 Senate Foreign Relations Committee Chairman John Kerry said Thursday the results of the U.N. assessment were “dire” and called for resumption of aid if it could be properly monitored. “It is tempting to withhold food assistance until North Korea abandons its pursuit of nuclear weapons or adopts economic reforms. But the North demonstrated during the famine in the mid-to-late 1990s, in which an estimated 5-10 percent of ordinary North Koreans died, that it is willing to allow its people to suffer enormously,” the Massachusetts Democrat said in a statement. New York, Mar 25 : Around USD 1 million of equipment and vaccines are urgently needed to help stem outbreaks of foot-and-mouth disease (FMD) in the Democratic People’s Republic of Korea (DPRK), where farm animals are crucial to food security, the United Nations warned on Thursday. Such efforts need to be followed by a more prolonged and concerted effort to modernize veterinary services in the country, the UN Food and Agriculture Organization (FAO) said in anews release following a joint mission it made with the World Organization for Animal Health (OIE) mission at the Government’s request earlier this month. FMD does not pose a direct health threat to humans, but affected animals become too weak to be used to plough the soil or reap harvests, suffer significant weight loss, and produce less milk. Many animals are dying from the highly contagious disease, which affects cattle, buffaloes, sheep, goats, swine and other cloven-hoofed animals and spreads through body fluids that can contaminate clothing, crates, truck beds and hay. The mission found that DPRK’s capacity to detect and contain FMD needs significant strengthening, in particular in bio-security measures and improving laboratory infrastructure and capacity. Outbreaks have been reported in eight of the 13 provinces in DPRK, which has a livestock population of about 577,000 cattle, 2.2 million pigs and 3.5 million goats. To bring the situation under control, the mission recommended thorough surveillance to locate and map disease clusters; protecting unaffected farms through movement controls and bio-security measures; adequate sampling to correctly identify the virus strain or strains involved; and strategic use of the appropriate vaccines to contain and isolate disease clusters.